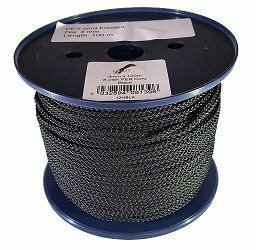 Black Polyester Cord supplied on sturdy plastic reels for ease of use and storage. 8-plait construction for a strong round cord that doesn't flatten when in use. Manufactured in Europe for a high quality cord from Ropes Direct.